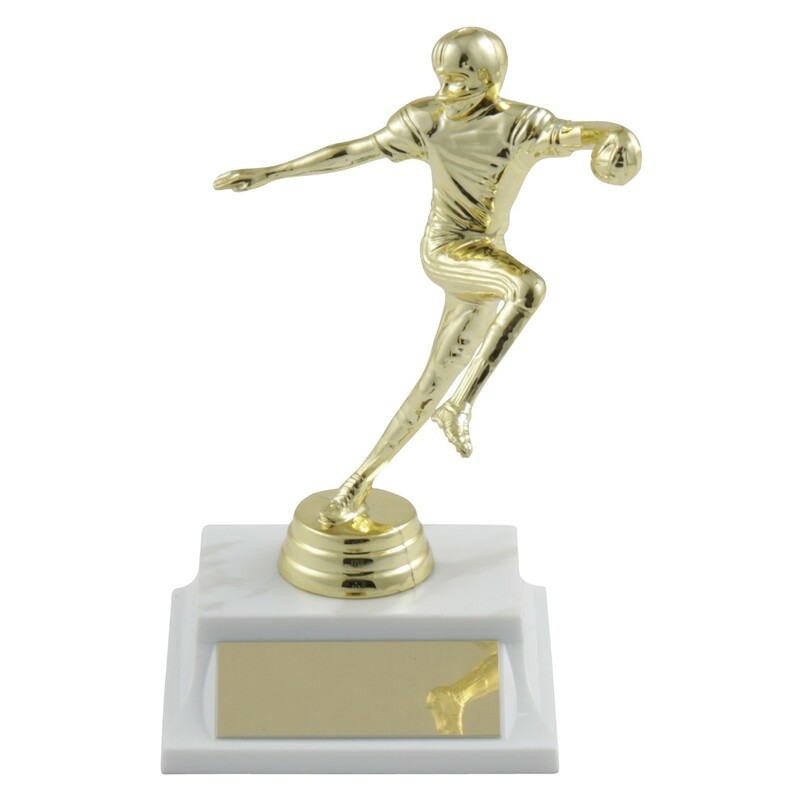 With this distinctive pose the Golden Heisman Football Trophy is sure to make your football player feel like the most outstanding player this season. Resting elegantly on a simulated white marble base this golden football player is in a Heisman style pose. Includes 3 lines of engraving.